The Company "Innovative Business Technology“ (IBT Company) offers a wide scope of service and solutions for increasing of customers' business operational efficiency by implementing the newest standards in area of IT solutions and service for Retail and Fuel stations' automation sector. IBT Company is a part of big holding SHTRIH-M. SHTRIH-M Holding is Russia’s leading developer of high-tech hardware solutions for retail business automation and the main manufacturer of fiscal cash devices in Russia and CIS. Accordingly independent experts’ estimation to this company belongs 75% of fiscal registers (printers) market. 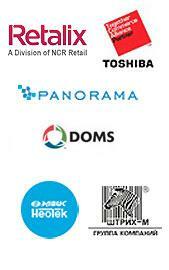 SHTRIH-M manufactures a complete range of retail hardware (fiscal printers, scales etc.) and also the specialized trade equipment (shelving, checkout counters, payment terminals etc). IBT via SHTRIH-M has the biggest chain of Fiscal Service Centers over the whole Russia. Talented professionals from biggest IT companies join IBT, bringing their expertise and best practice. Aggressive young specialists with new ideas strive to join IBT. Our staff knows how to work in teams. We have unique experience in collaborating on complex decisions, engaging in a productive dialogue, and then leading change as a cohesive group across multiple business divisions or functions. We are enabling them to build transparent business, increase their operational efficiency and enter new markets by applying our multi-format solutions and customization services. Objective of IBT is to offer our clients our advices and competence as well as the latest technologies and standards. The proof is that we are continuously looking for ways in which technology and improved business processes can add value to the organization. It is widely understood that technology has allowed us as a business in a difficult economy and competitive environment to remain profitable as well as very competitive. IBT is a true business partner!